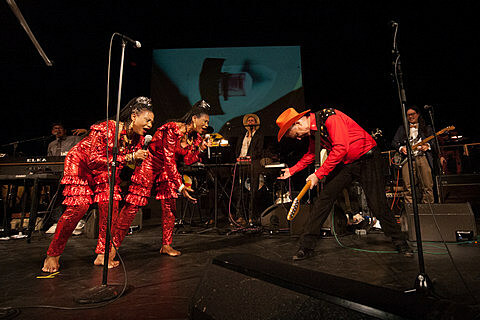 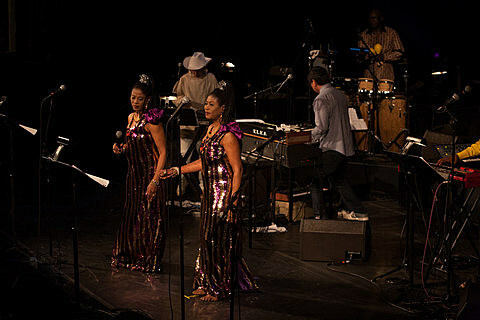 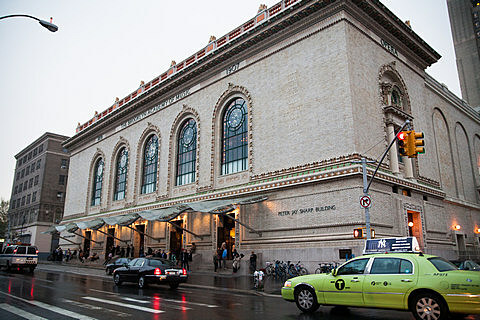 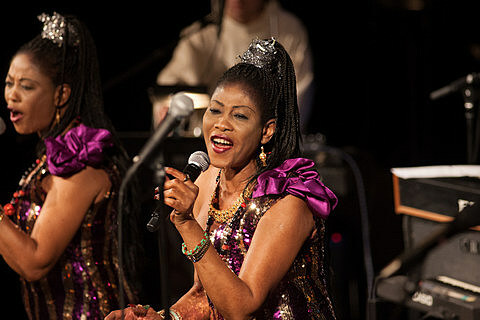 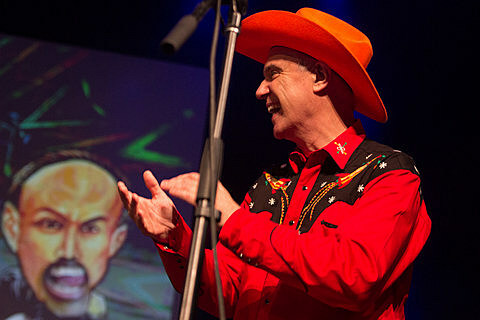 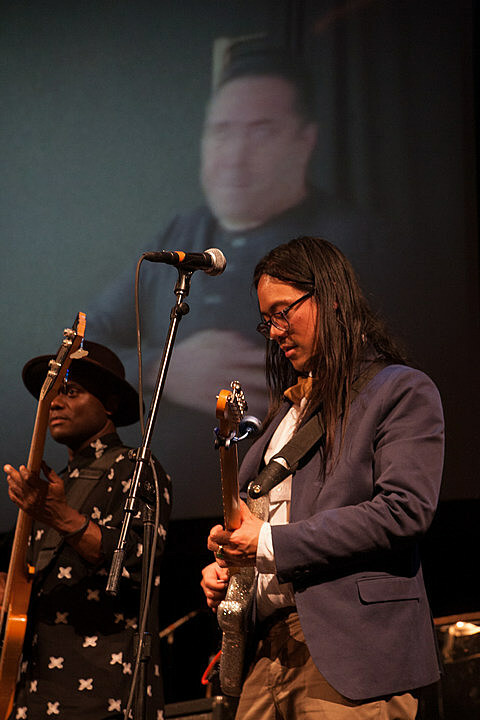 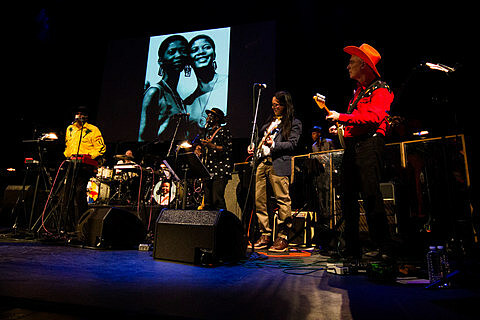 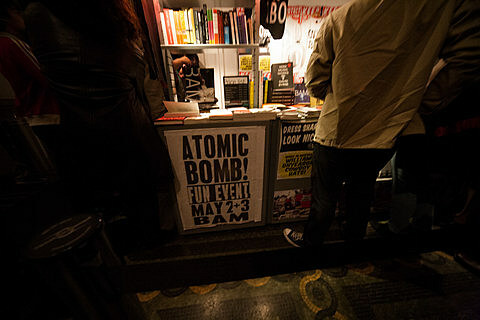 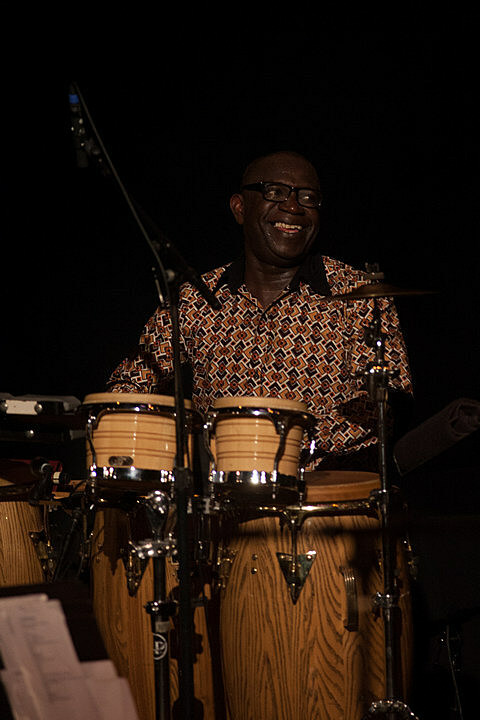 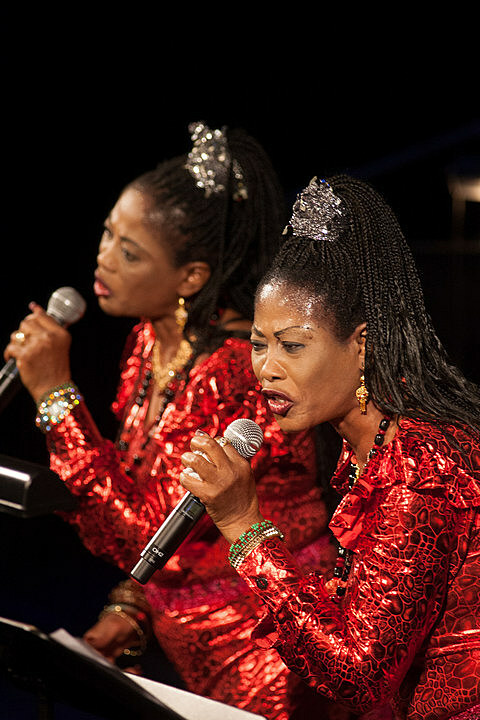 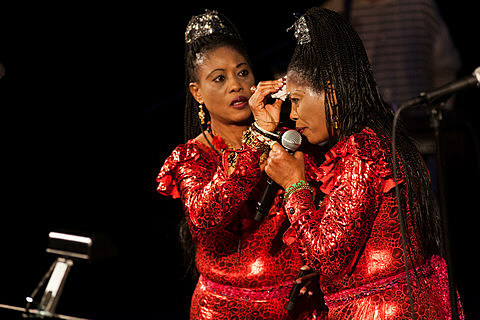 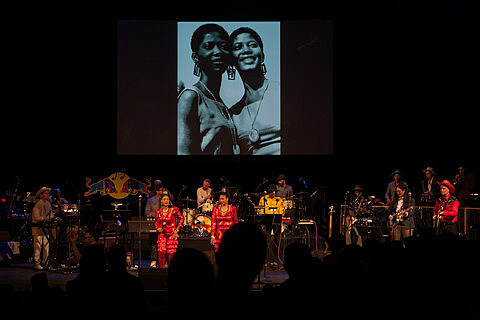 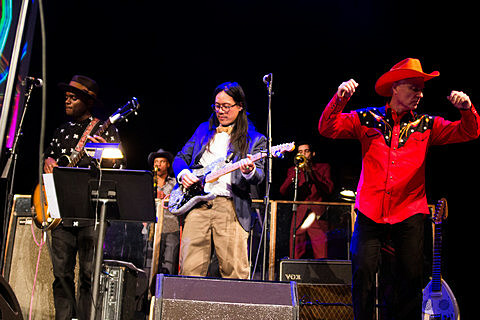 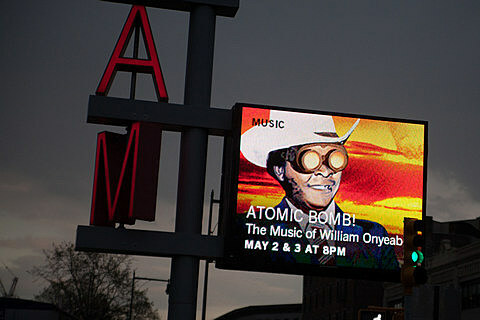 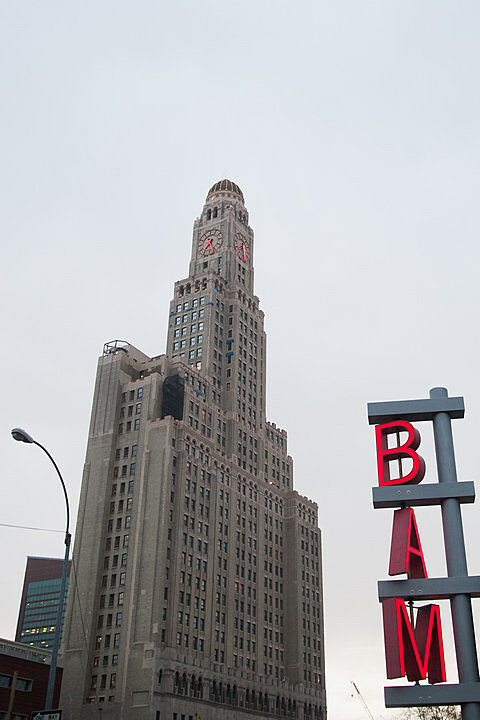 The music of Nigerian musician William Onyeabor was celebrated over the weekend with the two-night “Atomic Bomb” concerts at BAM. 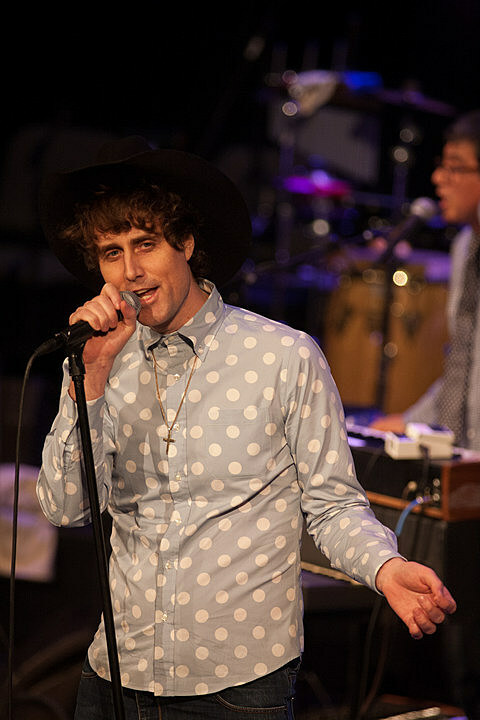 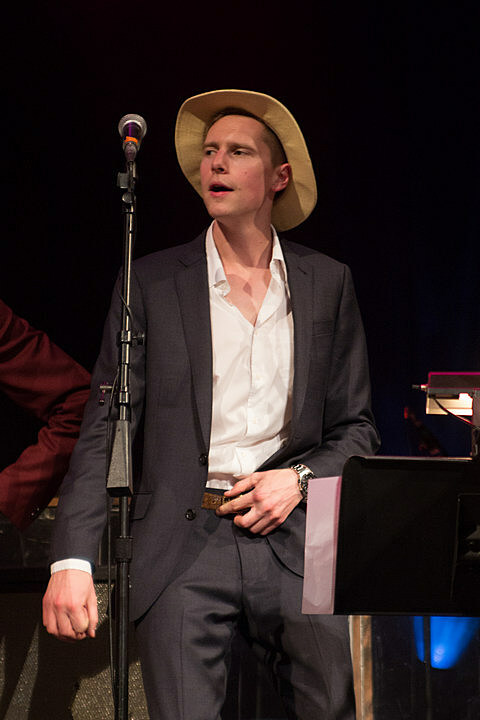 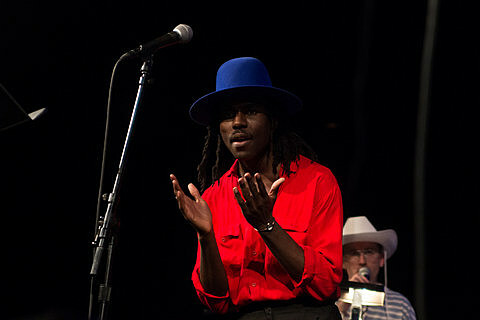 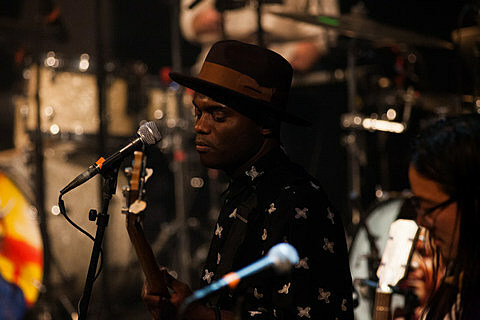 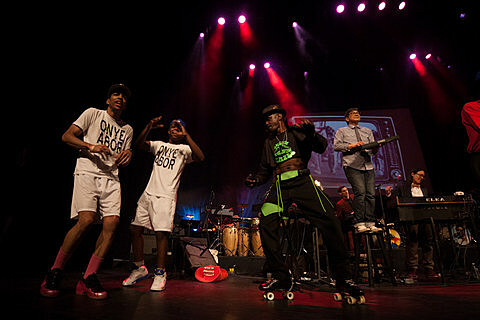 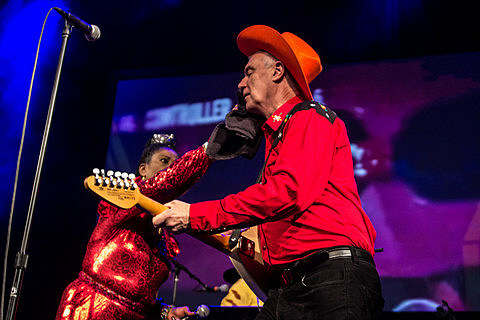 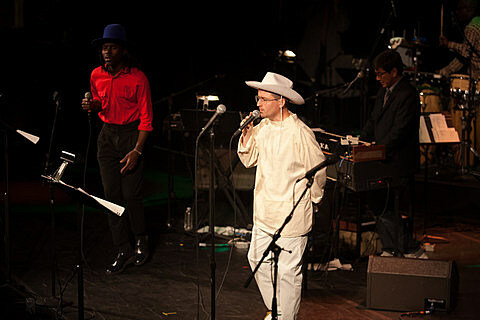 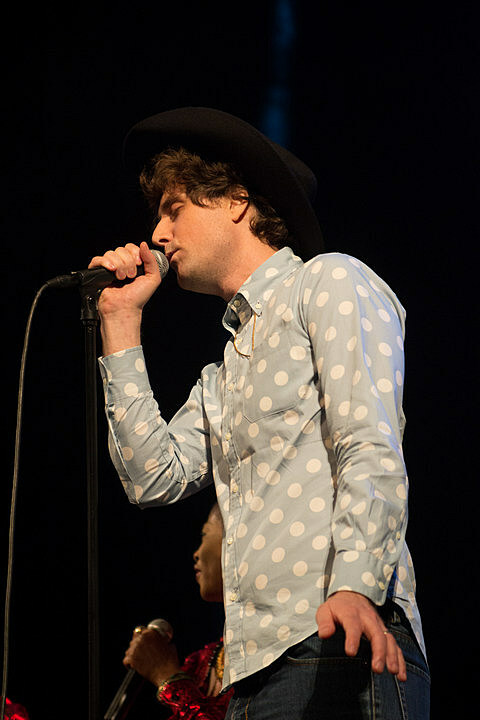 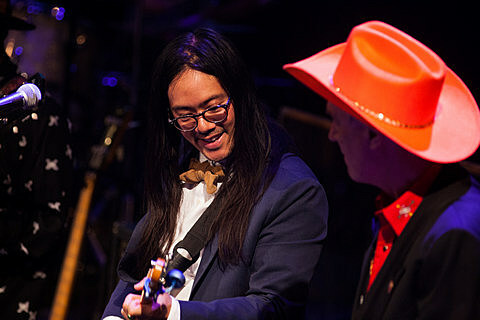 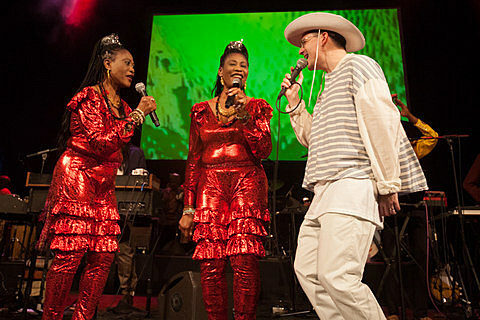 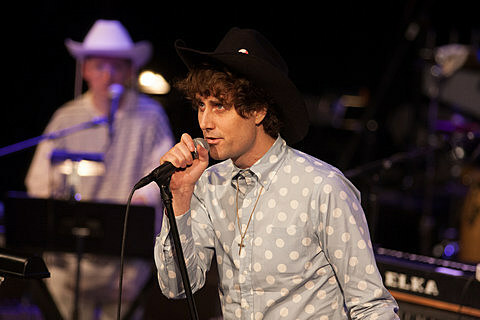 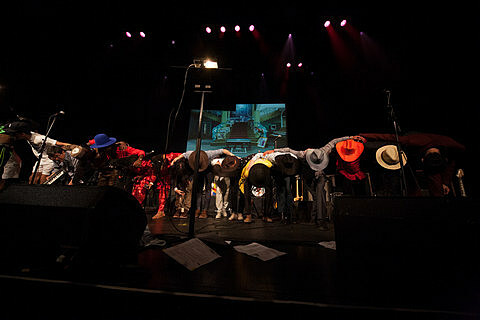 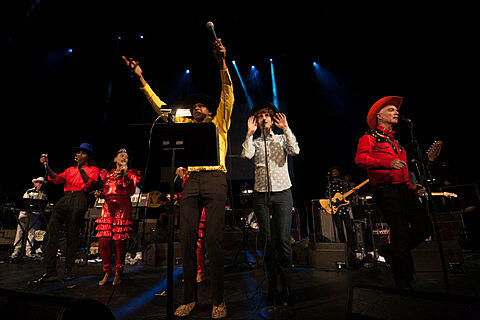 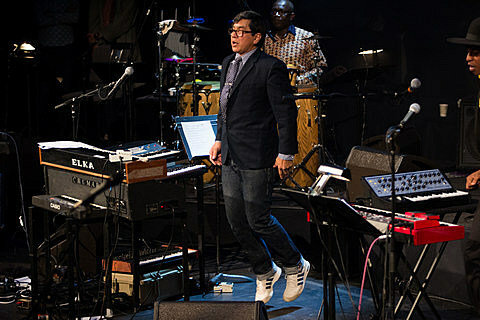 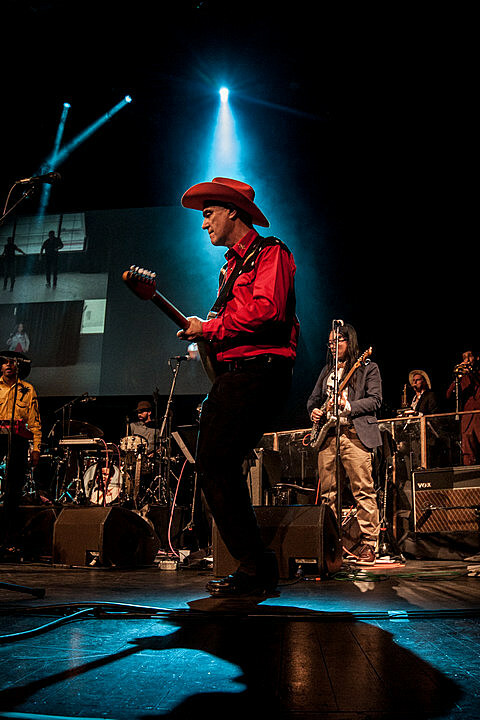 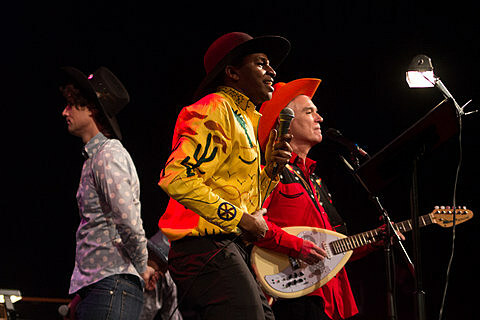 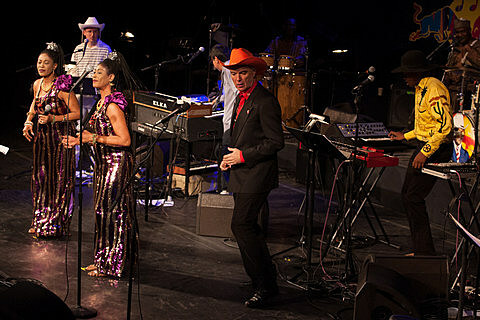 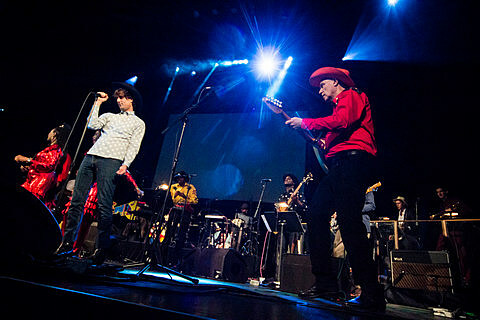 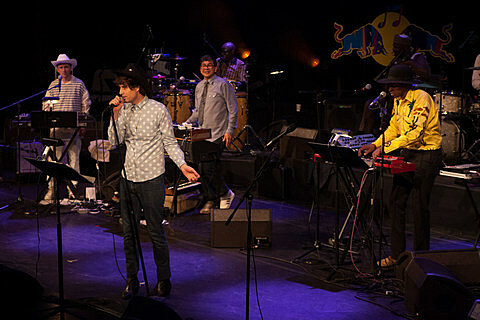 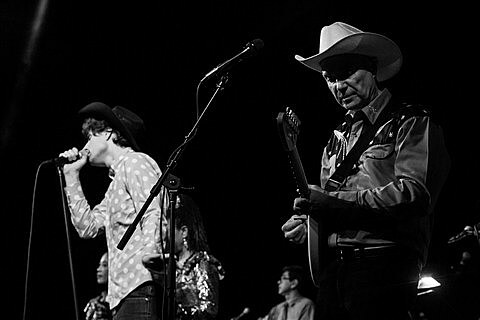 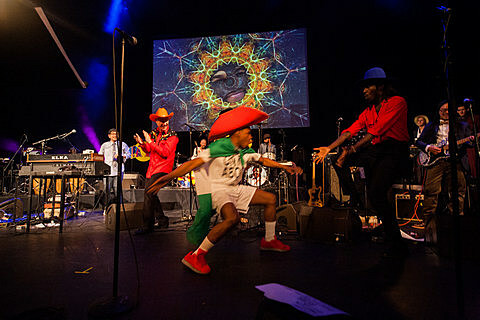 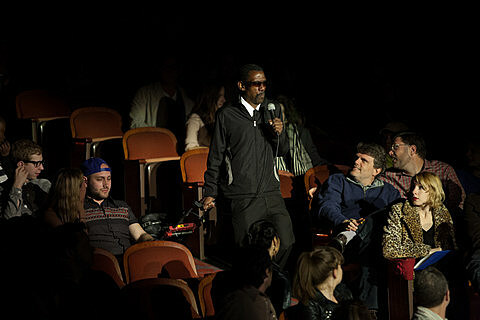 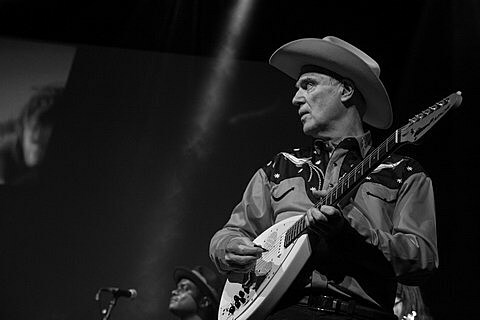 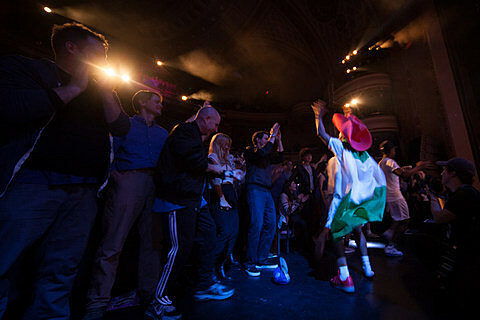 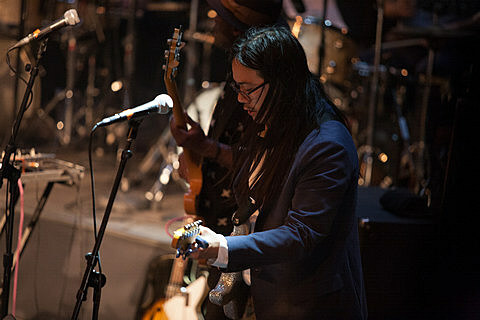 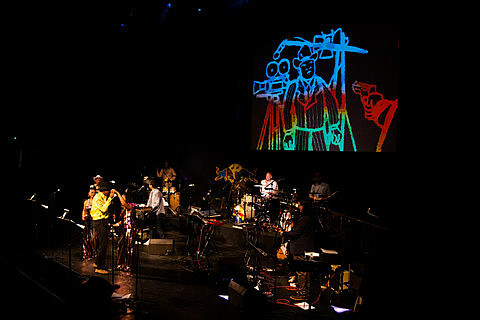 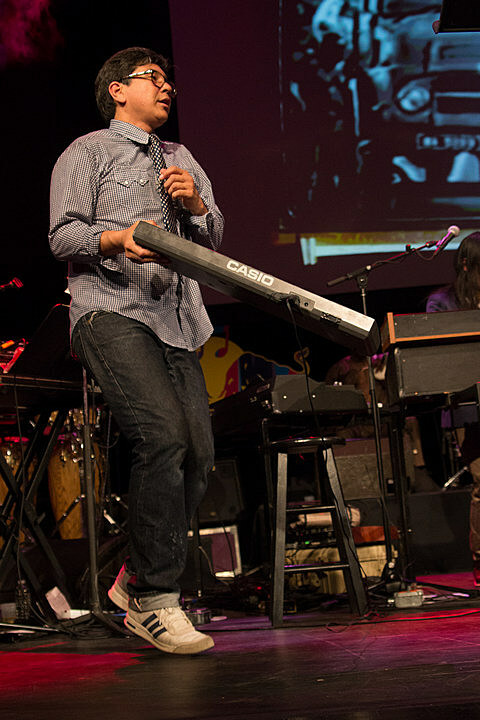 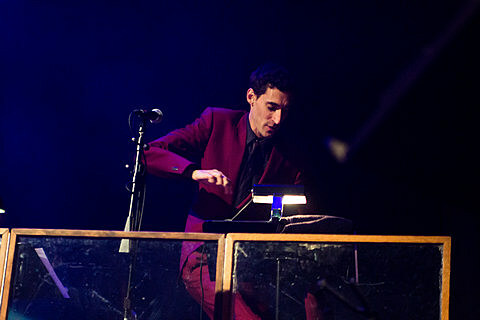 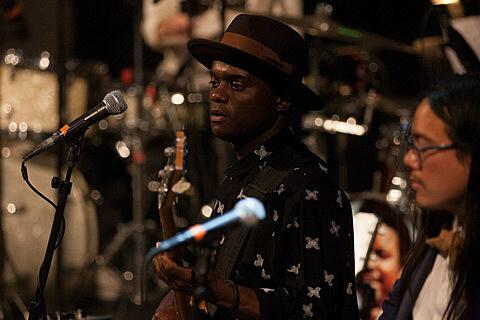 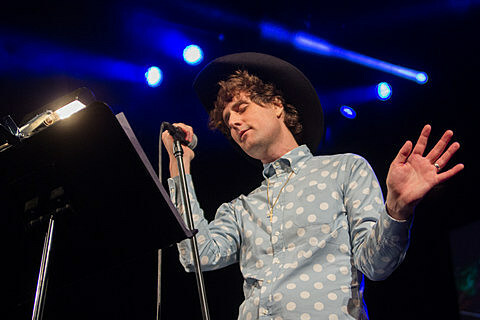 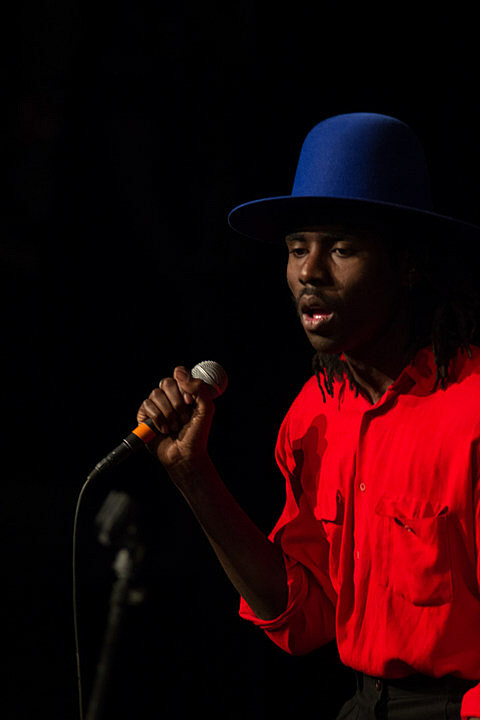 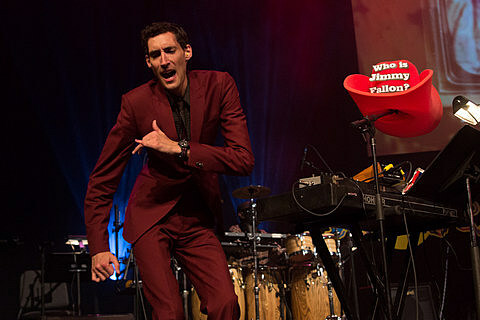 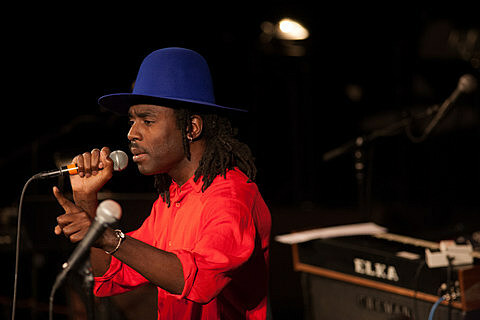 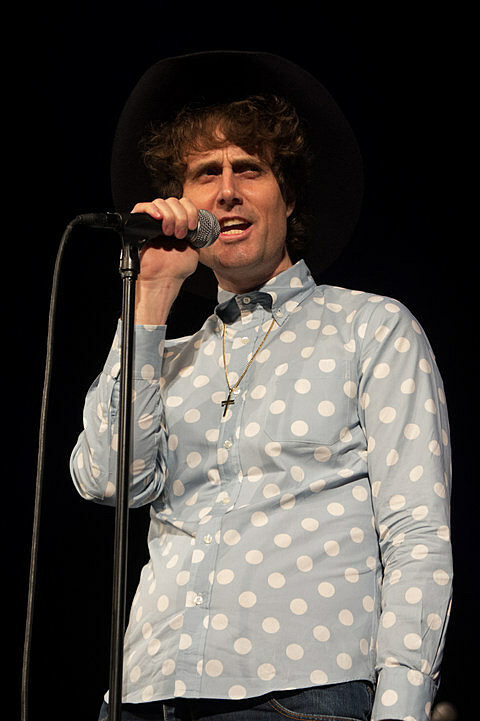 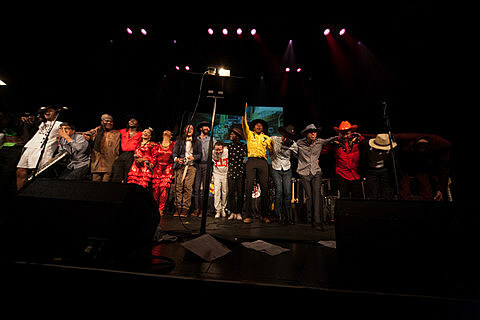 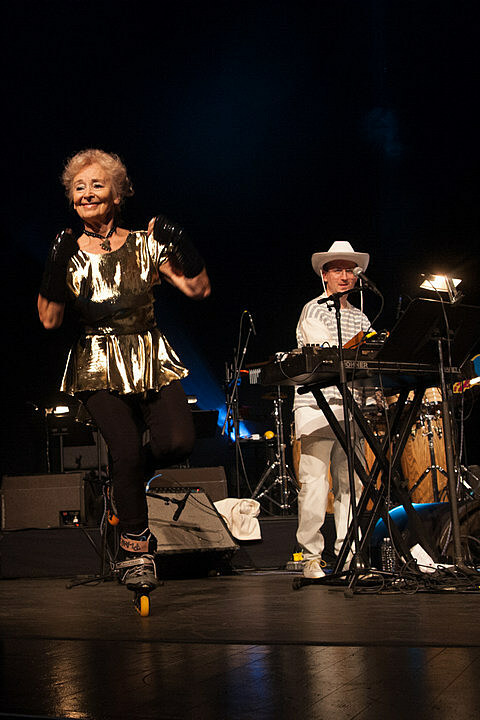 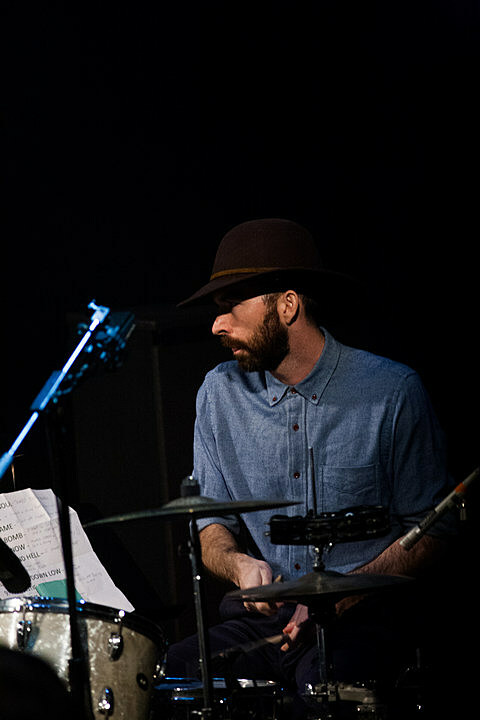 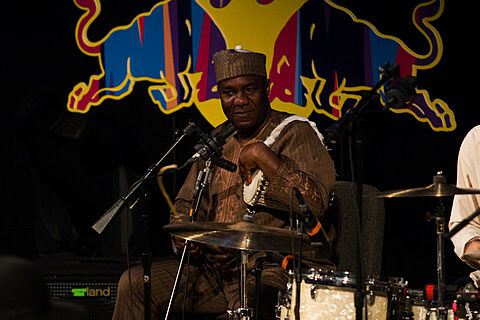 Part of this year’s Red Bull Music Academy, it featured David Byrne, Blood Orange’s Dev Hynes, Hot Chip’s Alexis Taylor, the Rapture’s Luke Jenner and Nigerian singers the Lidaju Sisters singing Onyeabor’s songs, backed by a tight band (who knew how to hang loose) led by Sinkane’s Ahmed Gallab. 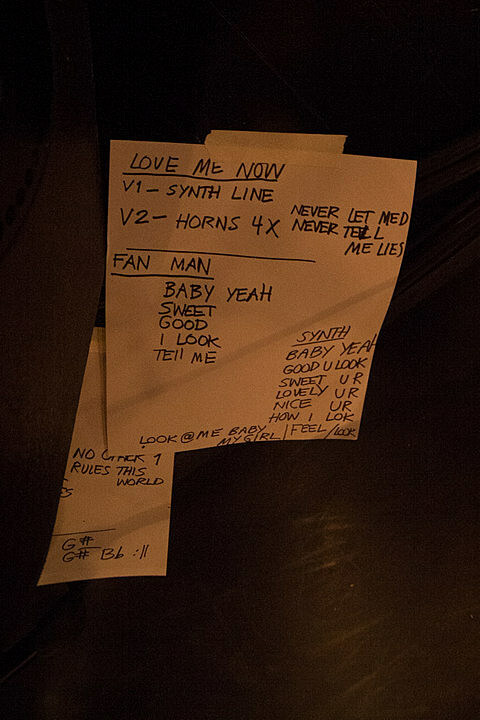 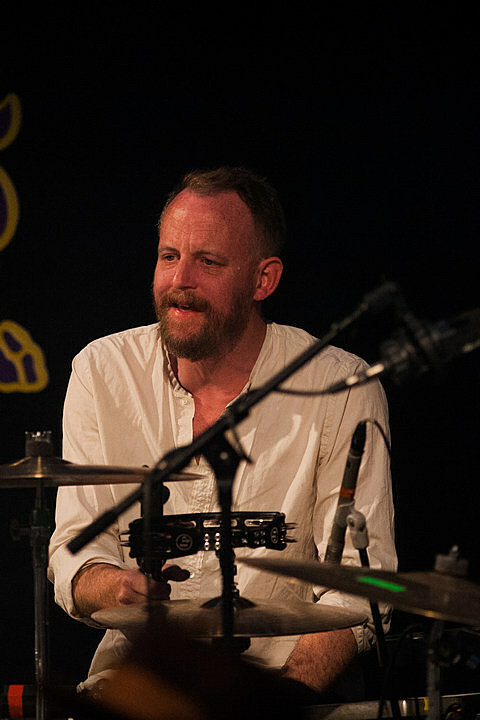 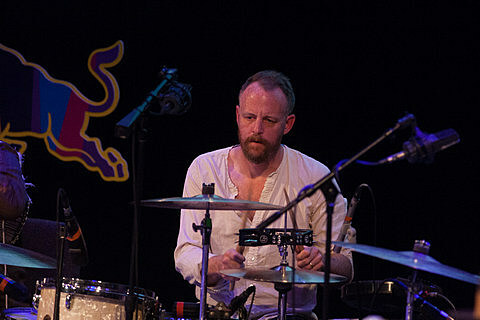 (The band also included Money Mark, LCD Soundsystem drummer Pat Mahoney and more.) 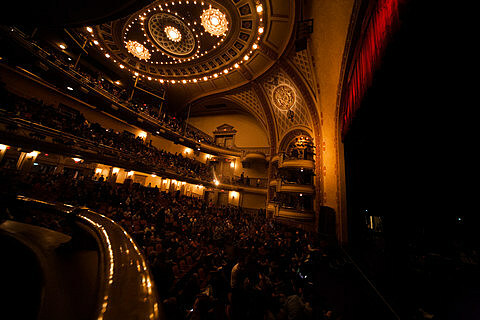 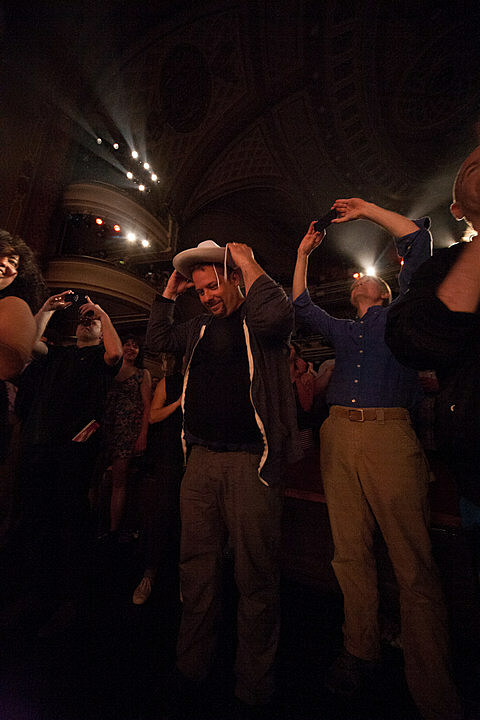 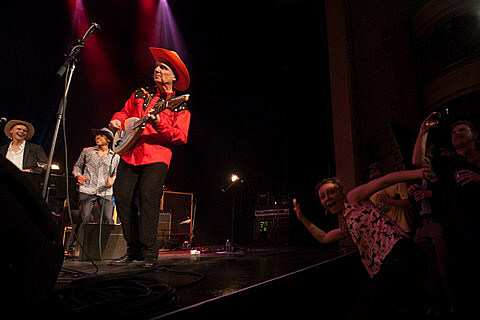 Saturday night’s show, at least, was a fun, joyous time with as much dancing in the aisles as would be allowed. 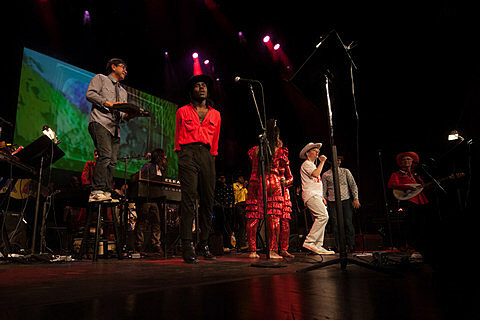 Perhaps a tip of the hat to Onyeabor’s current born-again Christian status, the night opened with street preacher Rufus Cannon wheeling his portable speaker down the center aisle, shouting testament to God and Jesus on his way to the stage, and at the end of the show a variety of street performers were brought on stage as well, giving the evening a distinctive NYC flair. 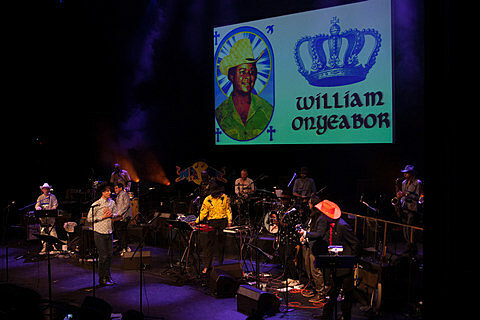 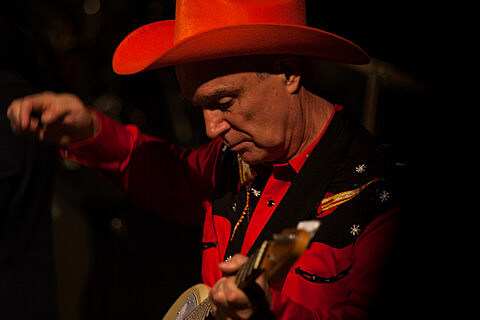 The music was great, hitting most of the highlights of last year’s Who is William Onyeabor? 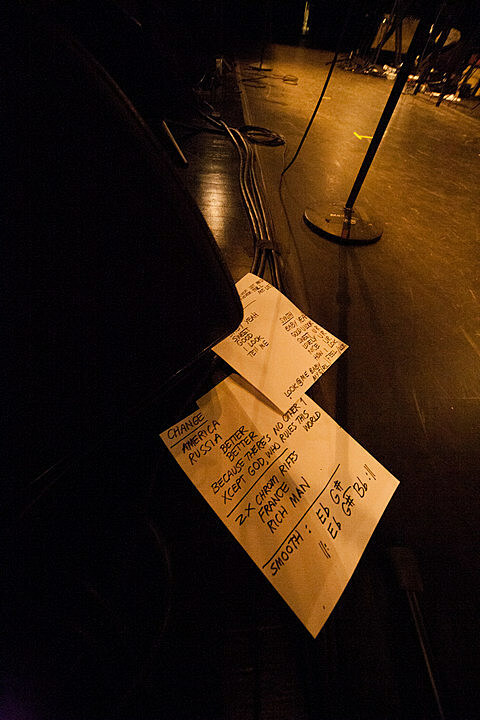 compilation, and the Lidaju Sisters performed a couple of their own songs mid-set. 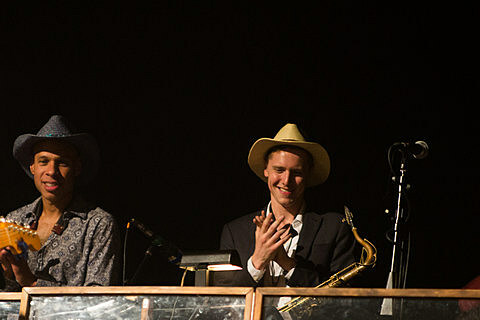 Both Taylor and Byrne were onstage most of the evening as part of the band when they weren’t singing. 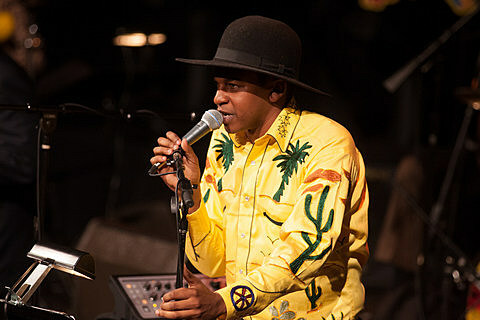 I do wish the keyboards — which is what makes Onyeabor’s music so distinctive — had been a little louder in the mix. 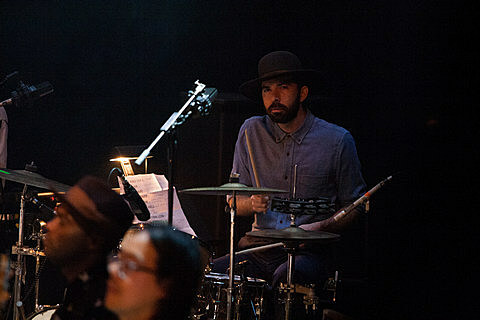 “Good Name,” which on record has an almost Kraftwerk vibe to it, was overtaken by the horn section (which included sax great Joshua Redman). 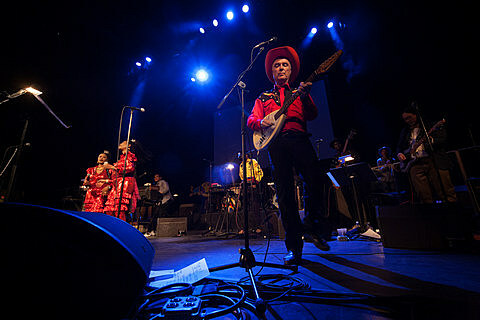 But the crowd and everyone onstage seemed to be having a genuine blast with Onyeabor’s music.